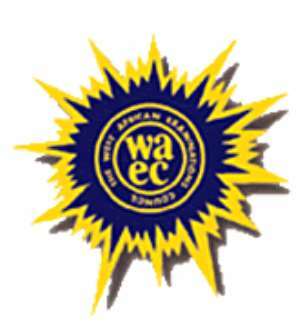 The West Africa Examination Council (WAEC) says it costs the body about five million Ghanaian cedis when examinations are cancelled. The Very Reverend Sam Nii Nmai Ollenu, Head of the National Office, said the Council was, therefore, did not benefit in any way from the cancellation of examinations and appealed to all stakeholders to help stamp out malpractices. Rev. Ollenu was speaking at a seminar held for 30 media practitioners in Accra, on Tuesday, to afford them the opportunity to get a deeper understanding of the mandate of WAEC. Rev. Ollenu explained that whenever examinations were cancelled, WAEC had to find additional resources to conduct fresh examinations by bringing together examiners and obtain other logistics. He said it was prudent for people to be worried when candidates cheated, adding that examination malpractices affected national development and lowered educational standards. Rev. Ollenu explained that examination malpractices also bred social miscreants and poor ethical and moral values. The Head of National Office WAEC, therefore, stressed the need to promote genuine academic attainment to propel national development. He said it was also necessary for stakeholders to protect the integrity of Ghana's educational system and the credibility of certificates issued by the WAEC. Rev Ollenu said though the national outfit continued to battle examination malpractices, Ghana would pick three Excellence Awards this year. He recounted that the Governments over the years had invested so much in education, noting that more than 35 per cent of Ghana's Gross Domestic Product had been devoted to education. This year, he said, the Government would absorb the examination fees of all candidates from public schools who would write the Basic Education Certificate Examination. 'It is imperative that we guard our resources so that they do not go to waste through examination malpractices,' he advised. Mr Carter Kofi Osafo, the Acting Head, Test Development Division, WAEC, who gave statistics of examination malpractices, stated that last year, 13,793 candidates were involved in examination malpractices. In 2016, and the previous year, 11,936 candidates and 12,746 candidates respectively, were involved in malpractices. Mr Osafo explained that examination malpractices involved seeking assistance, using exhibits such as smart phones and watches and using of handkerchiefs. In view of this, he said, WAEC had embarked on rigorous education through the print and electronic media to halt examination malpractices. The Council, he said, had also synchronised the times for starting all examinations in addition to using metal detectors to screen candidates. WAEC, Mr Osafo said, had also published the names of schools involved in the act as well as engaged the services of the National Security and private investigators to track and prosecute offenders. It had also expanded the use of CCTV cameras in examination centres. Mrs Wendy E. Addy-Lamptey, Head, National Exams Administration Department, said in 2015 WAEC introduced the use of the Item Differentia Profile Software to identify deviation and cheating. In her presentation, Mrs Addy-Lamptey said the Western Region topped in examination malpractices and the Brong Ahafo and Upper East Region took the second and third positions respectively.